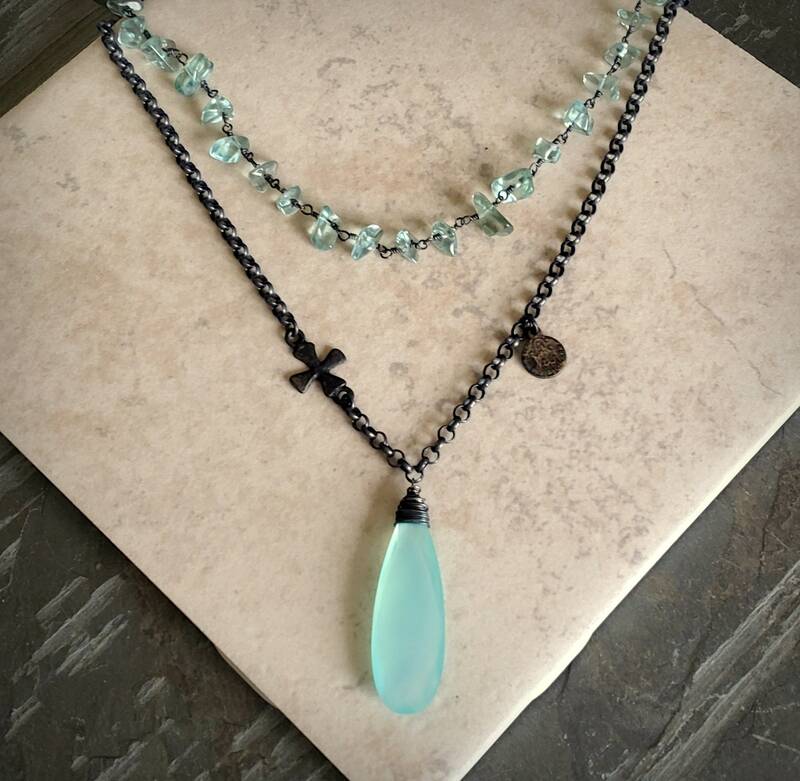 Black oxidized rolo chain is the back drop for our Aqua Chalcedony Necklace. 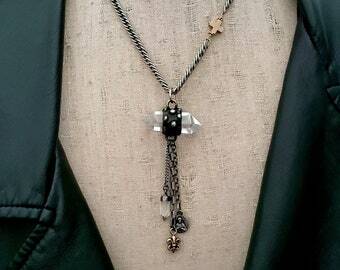 A black soldered cross is attached to the chain for visual interest along with a vintage religious charm. 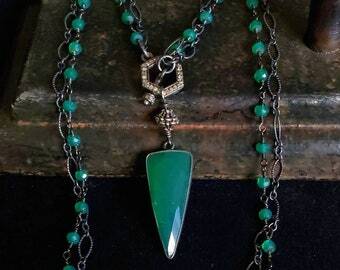 Our bright sea foam blue green Aqua Chalcedony stone is wire wrapped with sterling silver wire that has been oxidized. 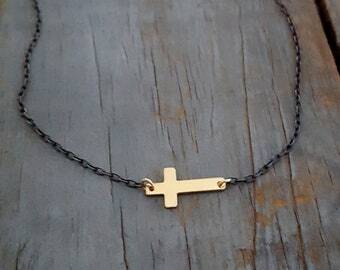 This is the perfect necklace for spring or summer and looks amazing with black. Substantial sterling silver rolo chain of medium weight. Links are 3mm. Aqua chalcedony gemstone: 2". Necklace is finished with a sterling silver spring clasp. 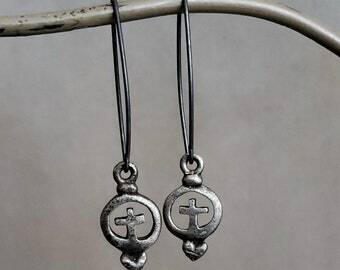 ViaLove is an eclectic jewelry line featuring a variety of designs. 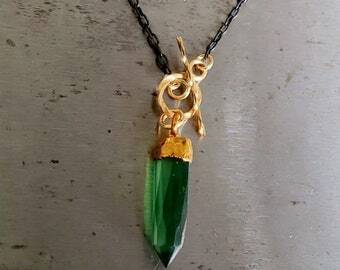 I source my materials from all over the world so I can create jewelry that is as unique as the individual who wears it. 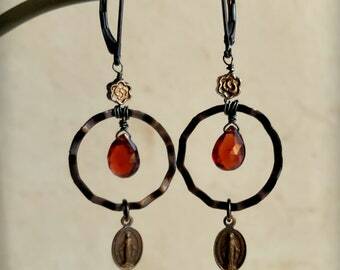 Each piece of jewelry is designed with great intention and thought so that you will treasure your jewelry for years to come.